The p roducts polished by hands are beautiful than by machine. If you have any inquire or question, please feel free to contact us, we will reply you in 24 hours. If you have any inquires or any questions, please feel free to contact us, we will reply you in 24 hours. 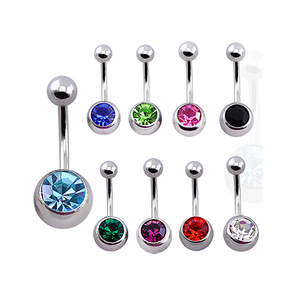 2015 nickel free double gems belly button rings Item 2015 nickel free double gems belly button rings Material Stainless steel Size Normal size(can be customized) Color Steel,black,gold. Being a professional manufacturer and exporter of body jewelry,mainly produce stainless steel and titanium body jewelry,Barbells,Banana Bells, Circular Bells, Labrets, Twisters, etc. 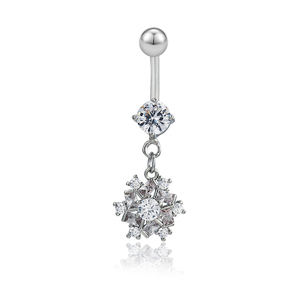 Our production process 2015 nickel free double gems belly button rings Dear,please send message to us through the table as below for getting more info about this product, other customized jewelry,detailed quotation,or various trade terms.